For more than 48 years, Gold Coast has led the magazine industry in South Florida. The flagship magazine of Gulfstream Media Group, Gold Coast magazine has been a recipient of multiple accolades, including the prestigious Charlie Awards bestowed by the Florida Magazine Association. Founded in 1965, Gold Coast was purchased by its current publisher, Bernard McCormick, in 1970. McCormick had been a senior editor with Philadelphia magazine in the 1960s and helped define the concept of a city/regional magazine at the time when Philadelphia's journalism was being recognized on a national level. As one of the first and longest-running city magazine companies in Florida, the magazine's archives are often used to chronicle the history of South Florida. Gold Coast was even honored by the Fort Lauderdale Historical Society for its long history of integrity and community service. Under publisher, Donna Lewis, Jupiter Magazine has grown into northern Palm Beach County's leading lifestyle and interior design publication. Part of the parent company Gulfstream Media Group (founded in 1965), Jupiter Magazine shares an extensive reach and lauded history in the South Florida area. With Publisher Bernard McCormick at the helm of the company since 1970, Gulfstream Media Group has carried the work of Pulitzer Prize-winning writers, and award-winning editors and photographers. The award-winning Stuart Magazine is the definitive voice on Martin and St. Lucie counties' community scene, from top dining venues to cultural attractions to fashion ideas. Part of the parent company Gulfstream Media Group, Stuart Magazine has been a recipient of multiple accolades, including the prestigious Charlie Awards bestowed by the Florida Magazine Association. Under Group Publisher Bernard McCormick and title Publisher Kim http://www.stuartmagazine.comCapen, Stuart Magazinehas grown into the area's leading lifestyle publication, respected for chronicling the area's community leaders, impact players and cultural establishments. The magazine offers provocative narrative stories as well as topical articles that have been recognized among its readers. As one of the first and longest-running city magazine companies in Florida, the Gulfstream Media Group and Stuart Magazinehttp://www.stuartmagazine.com have become a firm part of South Florida lifestyle. The award-winning Boca Life Magazine has led the magazine industry in South Florida. Part of the parent company Gulfstream Media Group, Boca Life has been a recipient of multiple accolades, including the prestigious Charlie Awards bestowed by the Florida Magazine Association. Under its current publisher, Bernard McCormick, Boca Life has grown into south Palm Beach County's leading lifestyle and interior design publication, respected for chronicling the history of South Florida. The group publisher for the entire Gulfstream Media Group family of magazines, McCormick had been a senior editor with Philadelphia magazine in the 1960s and helped define the concept of a city/regional magazine at the time when Philadelphia's journalism was being recognized on a national level. Palm Beacher magazine is the definitive voice on the Palm Beaches' luxury scene, from top dining venues to cultural attractions to fashion ideas. Part of the parent company Gulfstream Media Group, Palm Beacher offers provocative narrative stories as well as topical articles that have been recognized among its readers. Under publisher, Donna Lewis, Palm Beacher has grown into one of Palm Beach County's leading lifestyle publication, respected for chronicling the area's community leaders, impact players and cultural establishments. As one of the first and longest-running city magazine companies in Florida, the Gulfstream Media Group and Palm Beacher have become a firm part of South Florida lifestyle. The portal is built primarily for international students in US and employers who are willing to train and hire fresh graduates and provide visa sponsorship to these students. Need to ship a package pronto but want to avoid those outrageous “express” and “priority” costs? Did you pack so quickly for your business trip that you ended up leaving your medication at home with your wife? Want to get that clunker to your mechanic brother two states away or send Fluffy to stay with your parents while you vacation in Costa Rica? On the flip side, maybe you’re already taking a trip and would like to pocket some gas money by delivering someone’s cell phone to their house or hooking their 1972 Ford up to your trailer. Maybe you’d enjoy having a travel companion for good conversation and help with directions, plus some extra scratch to boot. 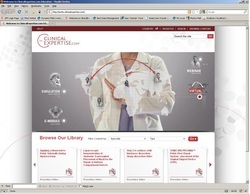 ClinicalExpertise.com is an online resource for medical education. The focus of this section is General Surgery. New material will be added continuously based on your needs and interests. Every registered user will be placed in any one continuum based on user answers. 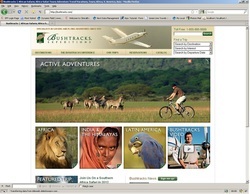 Based on their completion of training items, they can able to see the content uploaded in site. User also can able to register for event that is conducting by faculties. It Explores the latest surgical technology and techniques available. When you register you’ll gain instant access to a variety of multi-media educational tools. your customized learning journey is created. Follow the path designed for you and learn about the latest surgical technology and techniques in your area of clinical expertise. you can easily track your progress along the learning journey customized for you. 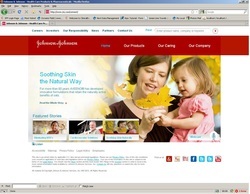 JNJ Globalization is a site to manage different kinds of templates from admin panel. It is totally template engine with different country facilities. Admin can able to select the type of template while adding content. Welcome to Ethicon. We believe in advancing surgical care worldwide to enhance patients' lives. For more than 80 years, Ethicon has been a trusted partner, answering customers' needs and delivering what is best for patients.Read about the latest advancements and find the medical devices you need and the support you want. Learn more by visiting our Healthcare Professional site &ndash; just click on &quot;Healthcare Professional. All content of this Internet site is owned or controlled by McNEIL-PPC, Inc. and is protected by worldwide copyright laws. You may download content only for your personal use for non-commercial purposes but no modification or further reproduction of the content is permitted. The content may otherwise not be copied or used in any way. The owners of this site will use reasonable efforts to include up-to-date and accurate information in this Internet site, but make no representations, warranties, or assurances as to the accuracy, currency or completeness of the information provided. The owners of this site shall not be liable for any damages or injury resulting from your access to, or inability to access, this Internet site, or from your reliance on any information provided at this Internet site. 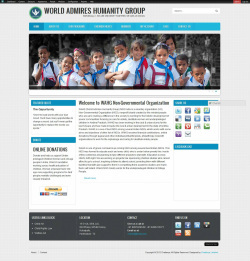 This site is for residents of the United States. 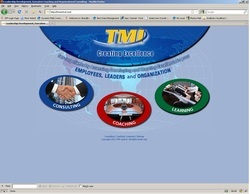 TMICentral provides Leadership Development, Executive coaching, organizational consulting, management development, 360 feedback, The 6 Levels of Leadership program and Extended DISC assessments. It also offer training programs on sales training, customer service training, presentation skills, conflict management and communication skills. We support our services with on-line training, books and resources. Bushtracks Expenditions is a travel guide in different destinations with various kinds of trip types like Family, Adventure, Photographic etc. Bushtracks expert safari trip planners will handle all of the details of your trip from your booking to your return, leaving you free to simply enjoy yourself on your great adventure. SMMC founders recognize and embody the truth that the people of Tanzania have an inherent ability to become better and more productive citizens once the obstacles in their paths are removed and to become better and more productive citizens once the obstacles in their paths are removed. 120 ethnic groups and languages, provides a source of very rich and diverse natural resources, economic opportunities, and a wide range of impressive cultural creativity.